“….the mother sea and fountain-head of all religions lies in the mystical experience of the individual”. James believed that the key to understanding such experience, was to be found in the manner in which our eyes and minds, together, created our world. 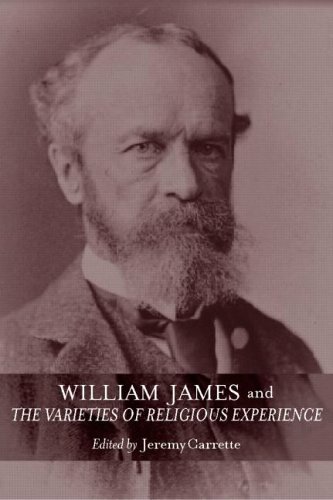 Quite simply, for James the varieties of religious and mystical experience were dependent on the varieties of human nature, which in turn, were dependent on the nature of consciousness itself. Has much changed in the 21st century where we embrace anything from artificial intelligence to ‘uploaded consciousness’ – the transfer of the human mind to an artificial substrate? I suggest that it has. We have now moved beyond human to post-human. In the post human matrix, consciousness is a function of the entire organism – not just the brain. As any holistic practitioner will tell you, our minds and bodies act together; it is impossible to know the whole of something from the sum of its parts. Interesting enough, but in and of itself, not earth shattering news. The important point is that in the post human matrix, we now control both our minds and our bodies. We began with pacemakers and artificial joints. We now use a myriad of drugs to control our emotions. Soon enough, we will have computer implants that will seamlessly perform as another brain hemisphere. In other words, in the post human matrix, man controls his experience – religious or otherwise. Assuming we control our experience of God, does this mean that in essence, we control God? In some sense, I believe it does. James believed that just as a novelist plays ‘God’ by taking his fictional characters to the heart of their consciousness through interaction with their world, we do the same through our interpretation of own experience of our own world. Our minds are the essence of our humanity. We participate in reality. We make our own truth. This has always been matter of perception. But now we control our perception. In this way, I suggest that the post human experience will make redundant our most fundamental assumption that God is superior to man, and that man is in turn superior to nature. The Rationalists eliminated God and the Post humanists are eliminating humans. After that, there’s nothing left but nature. The funny thing is – and I suggest James would agree – that all these distinctions were man-made in the first place.